Our first Top 5 of 2016.. and what better way to start the new year than with Pancakes, right??? Today, 2nd February is PANCAKE DAY in Belgium!! However, traditionally, Pancakes are enjoyed on Shrove Tuesday (or Fat Tuesday) which is the day before Lent starts… which happens to be Tuesday 9th February (1 week later)… so whichever Pancake day you decide to celebrate with… it doesn’t really matter – because you should be trying out one of these awesome pancake recipes from our blogger community below! Alexia of Must be Yummie ss us how to make Indian Pancakes! Without milk or eggs!!! 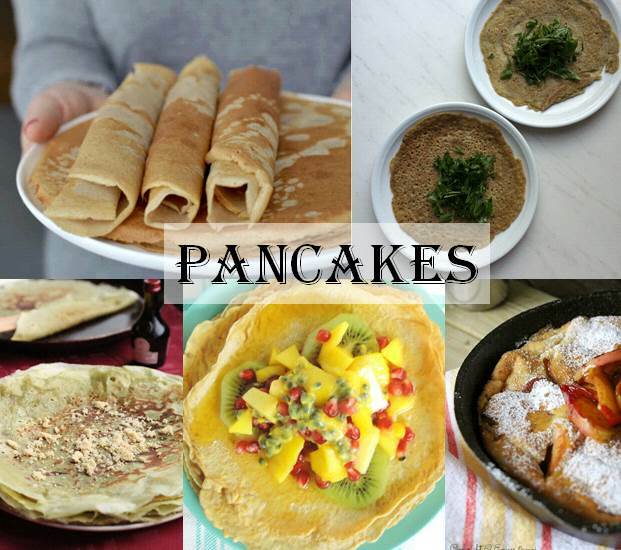 Do you have an Pancake recipe that you wish to share with us? Just add the link to the comments section below!